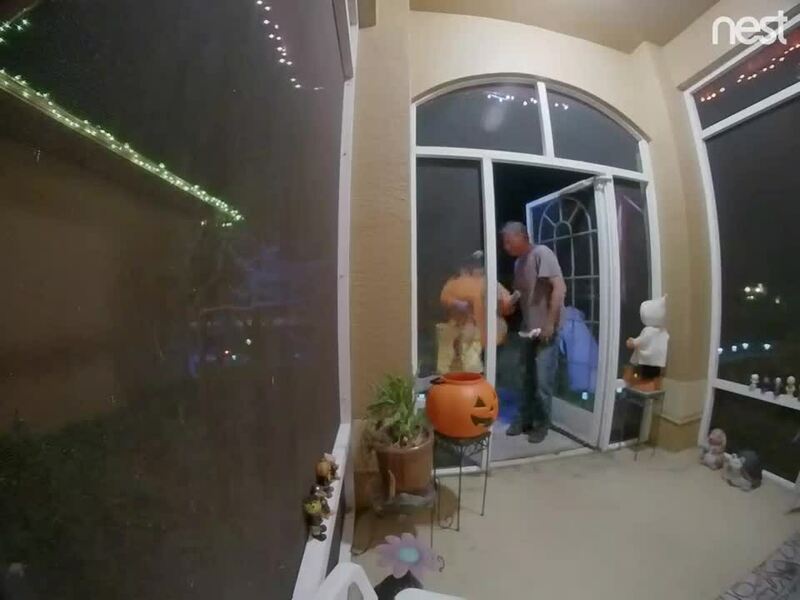 A number of Southwest Floridians are still scratching their heads after their home surveillance cameras recording more tricks than treats on Halloween night. 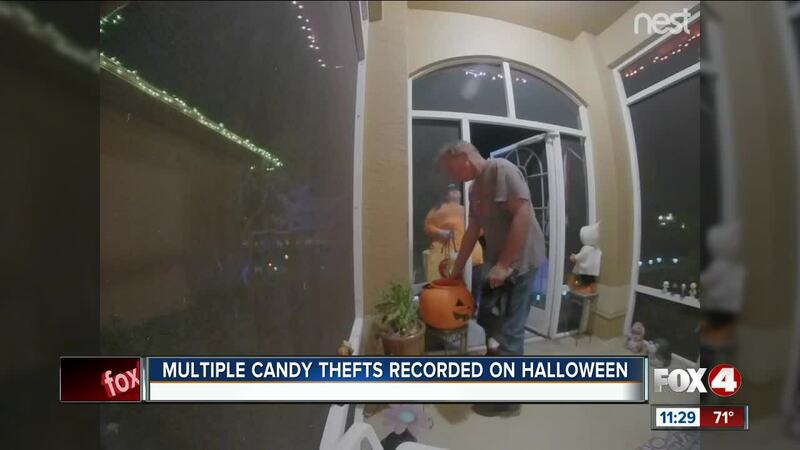 CAPE CORAL, Fla. — A number of Southwest Floridians are still scratching their heads after their home surveillance cameras recorded more tricks than treats on Halloween night. We all know how frustrating it is to have thieves stealing candy from your front door. But times have changed and it is much easier to catch a candy crook in action. “I got home like about 11:15, and I noticed my pumpkin was missings,” said Soraya Matos. Video recorded on Matos's front steps just before 9 p.m. that night showed a man and a woman stealing an entire bowl of candy that was meant for trick-or-treaters. Soraya tells WFTX-TV that it is not the candy, it is the principle. She is mostly upset because Halloween is meant for the kids. “Trick-or-treating, enjoying, picking candy...and now this man just violated my home and stole the pumpkin full of candy,” said Matos. But adults are not the only ones taking advantage of Halloween. In a separate case, three teenage boys were seen on camera vandalizing pumpkins. And in another case, one woman caught two kids stealing pumpkins from her neighbor’s house. So how can you keep stuff like this from happening to your house? “Have good lighting at your house, whether that's floodlighting on the sides or at the front of your house. Cameras are always a good idea,” says Master Corporal Philip Mullen of the Cape Coral Police Department. Luckily, Soraya did have a camera. She uses a system called Nest that allows her to watch everything on her phone through a lens. But Cpl. Mullen also reminds you to avoid confronting the crooks you see in surveillance videos like Soraya's. “She did everything right, but you can't always anticipate what thieves are gonna do,” said Cpl. Mullen. Soraya said she doesn't know if she will celebrate Halloween next year. In the meantime, she hopes seeing themselves on this video will be scary enough to keep the candy-stealing suspects from stealing again. No arrests have been made for any of these cases. If you know anything, you can call Southwest Florida Crime Stoppers at 800-780-TIPS.